A changing of the guard right before our eyes, in the Stade de France no less - when have we said that before? James Ryan didn't exactly make the headlines with a scintillating hat-trick à la Brian O'Driscoll, but the 21-year-old suggested that he will be a regular part of Joe Schmidt's plans from here until Japan 2019. People wondered how Ryan would handle the occasion but this is a supremely talented youngster who has made the step up every time he has been called upon. Devin Toner has been in good form but when Ireland kick off their World Cup campaign next year, Ryan must be in the starting XV. The Leinster man brings so much more dynamism to the pack and his partnership with Iain Henderson, who was outstanding once again, was extremely promising. Ryan got through a mountain of work on his Six Nations debut, and was Ireland's top tackler (10). He also made 15 carries - only CJ Stander (25) managed more. The former Ireland U-20 captain does have work to do - what 21-year-old professional doesn't? His wayward 25th-minute pass to Conor Murray almost led to a French try - he was saved by the expert defending of Rob Kearney. Ryan's work-rate is relentless. He carries like a powerful No 8, tackles like a abrasive flanker, leaps like a towering lock and has the skills of Tadhg Furlong. 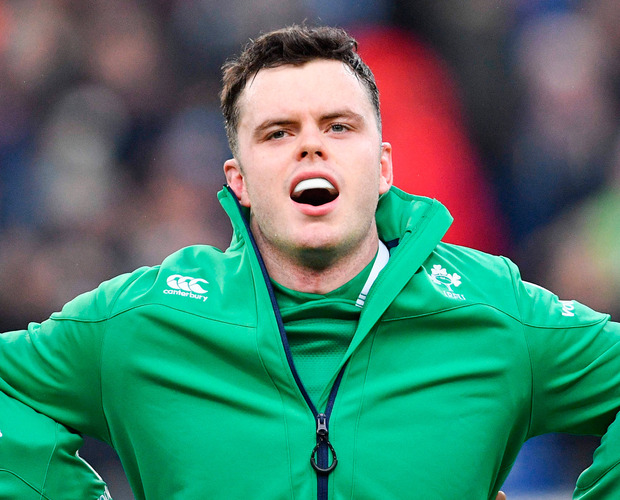 Toner still has an important role to play for Ireland, but Ryan's time has arrived. At a time when concussion and head injuries are so firmly in the spotlight, the introduction of the Head Injury Assessment (HIA) has been important. The HIA is not without its flaws and the manner in which referees no longer take any chances is to be commended, but what happened in the 76th minute in Paris was scandalous. Word had come down to Nigel Owens from the independent match doctor that Antoine Dupont should come off for a HIA. Replays clearly showed that France's replacement scrum-half had done damage to his knee before contact was made. At no stage did he appear to hit his head. It was interesting to hear Owens tell the French doctors to take Dupont off for a HIA. They initially argued that it was a knee injury until they realised that he was unfit to carry on. The result of the independent doctor's decision that Dupont had to come off for a HIA was that Maxime Machenaud returned to the fray. Owens, who had a poor afternoon, was not to blame for this incident as he was put in a very difficult position by the doctor, but it poses so many questions about the misuse of the HIA. Joe Schmidt was less than impressed, and it is no surprise that the Six Nations are investigating the incident. They have an opportunity to stamp gamesmanship like this out of the game, once and for all. From the second Johnny Sexton restarted the game with a 22 drop-out to the point where he bisected the posts with an astounding drop-goal, the ball was in play for exactly 5.15 minutes. In that time, Ireland went through 41 phases. The stakes were high, the pressure was on, but the players backed themselves. If you ever wanted to know what 'trust the process', means, just watch back the end-game. No-one panics. No-one is unsure of what their role is. Sexton took control, but the finer details such as Stander spinning out of the tackle in the final carry before the drop-goal to gain an extra couple of metres was crucial. As was Keith Earls ridiculous leap over Virimi Vakatawa. That's not to mention Henderson claiming the restart or the clear-out work done by the likes of Jack McGrath, John Ryan, Fergus McFadden and Toner. Small details that had a huge impact on the outcome. It was a remarkably controlled exhibition of trust in the game-plan.